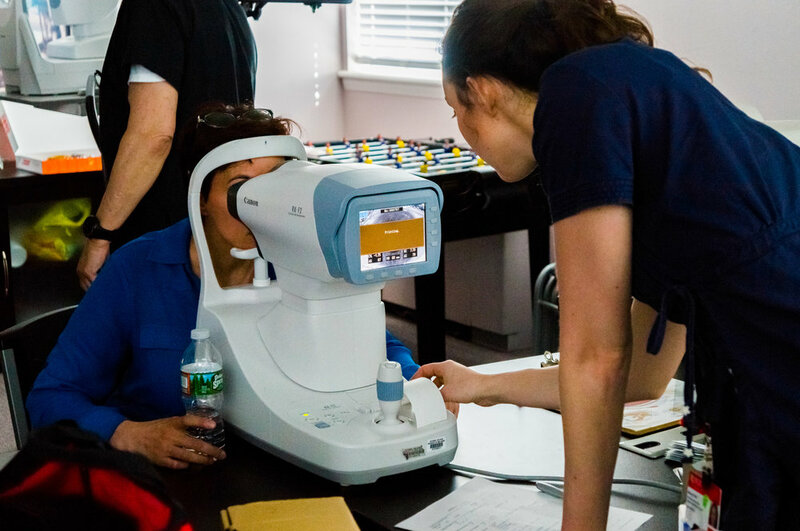 ACI wishes to thank Dr. Ben Szirth and the Student Sight Savers program, which is made up of students at Rutgers University Medical School in Newark. 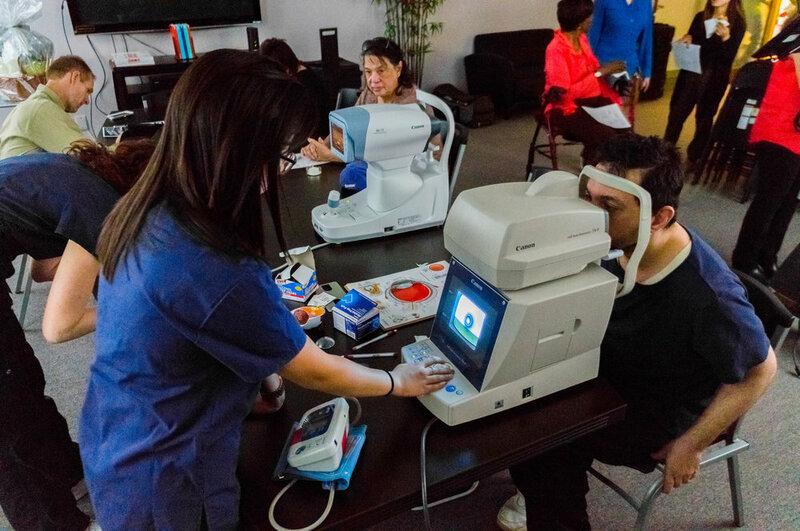 The program came to ACI and conducted vision screenings for over 20 participants on Thursday, April 13th. Posted on April 17, 2017 by Brian Mazzarella and filed under Health. 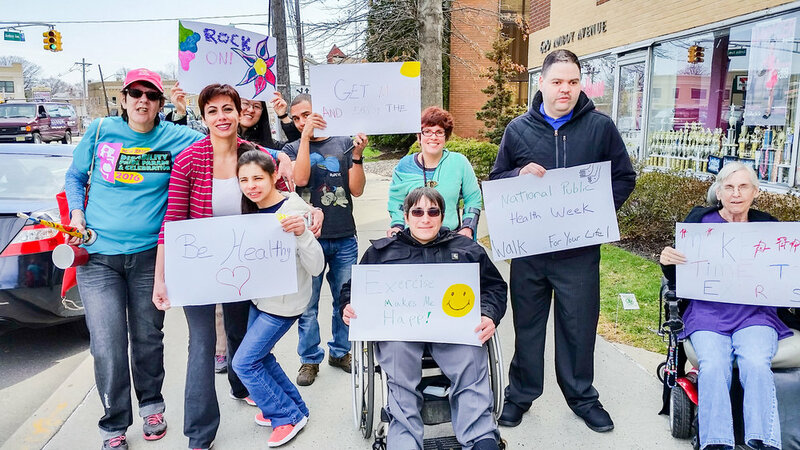 ACI volunteers, members and staff celebrated National Public Health Week by making signs encouraging people to exercise and by walking (and rolling) up and down Amboy Ave in Edison/Fords. "This is a great way to enjoy the sunshine and meet our neighbors!" said Christina Barcalow, one of the participants. Posted on April 4, 2017 by Brian Mazzarella and filed under Health. On February 22nd, ACI wrapped up the winter session of the Coloring for Adults series of workshops. 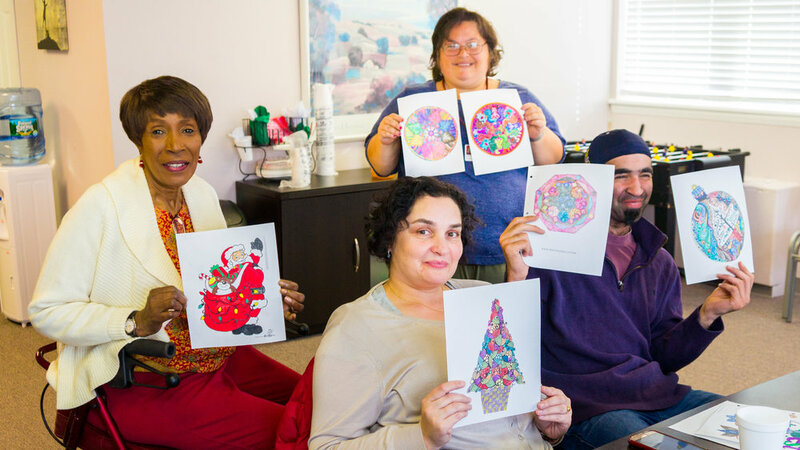 Participants selected their own coloring pages and turned their artistic abilities into an array of colors! 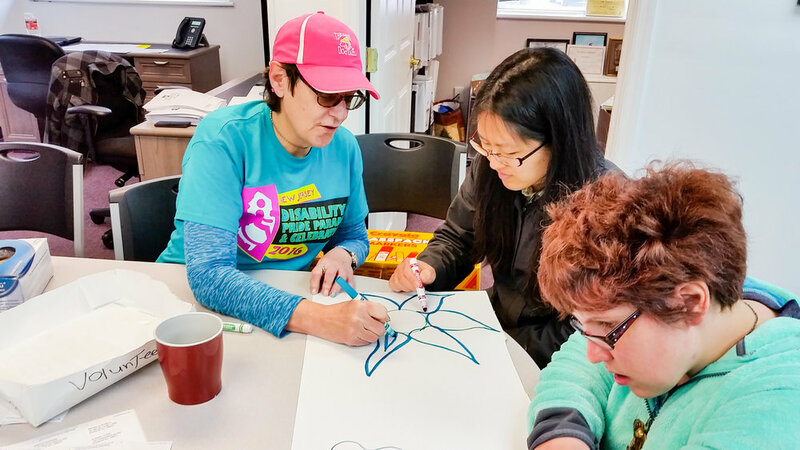 The class challenged their skill of concentration, increased their contact with other people with disabilities and improved their awareness of participating more comfortably in social situations. Posted on February 23, 2017 by Brian Mazzarella and filed under Health. Thank you to Stephanie and Kathleen, from St. Peter's University Hospital Community Mobile Health Services, who recently conducted blood pressure and blood sugar level screenings at ACI. 14 people participated in the event, which took place on January 27th. 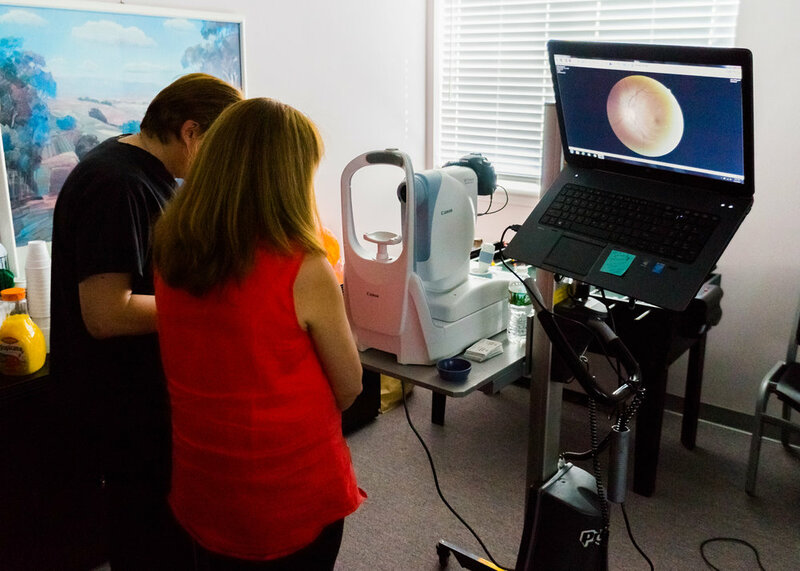 The screenings are provided as part of ACI's Health and Wellness program. 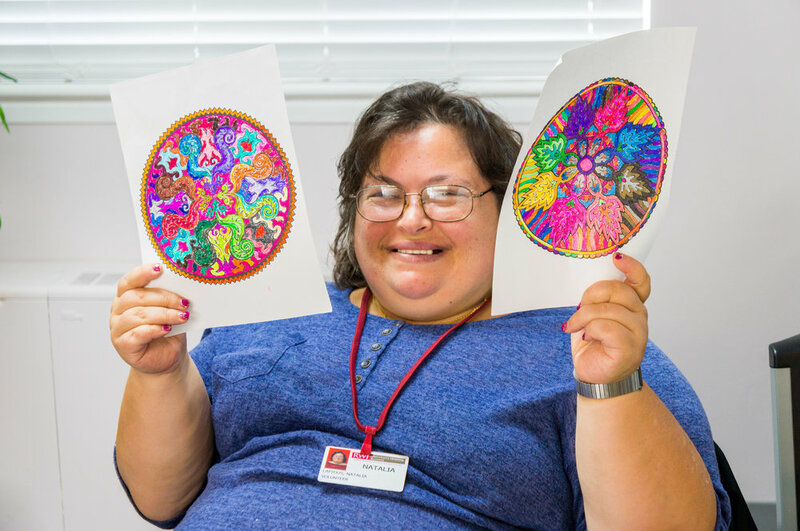 We appreciate continually working with St. Peter's in providing these valuable services to the disability community. ACI and St. Peter's University Hospital will be conducting auditory screenings over the spring. Stay tuned to our Upcoming Events page for more details. Posted on February 10, 2017 by Brian Mazzarella and filed under Health. 115th Congress Repeal Affordable Care Act Underway...Call to Action! At 1:30 on Thursday morning, the U.S. Senate took its first step towards repealing the Affordable Care Act (ACA). The approved budget resolution instructs committees of the House and Senate to draft repeal legislation by January 27th. Both chambers will then need to approve the resulting legislation before any repeal goes into effect. The effort to repeal ACA will have a devastating effect of the 30 million people, many of whom have disabilities, who receive healthcare coverage through ACA. Blocking granting Medicaid is also being considered. Posted on January 17, 2017 by Brian Mazzarella and filed under Health, Advocacy. Thank you to Saige Gomez, our intern from Rutgers University, for his 2-part workshop held on November 18th and 22nd that covered the importance of exercise, nutrition, and making healthy food choices. We appreciate Saige's passion, enthusiasm and creativity, while sharing his knowledge to our volunteers, staff, and consumers during the fall! Posted on November 23, 2016 by Brian Mazzarella and filed under Health. ACI would like to thank Jennifer Ryan and Stephanie Peluso-Riti of Saint Peter's University Hospital's Community Mobile Health Services for providing flu shots to our staff and volunteers on November 15th. In addition to receiving flu shots, participants were also given information about the importance getting vaccinated for the flu annually. 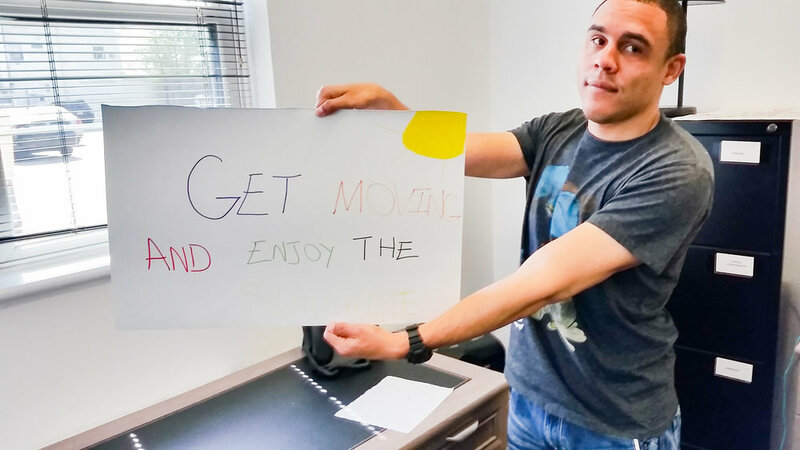 This was part of ACI's continuing health and wellness activities. Posted on November 16, 2016 by Brian Mazzarella and filed under Health.